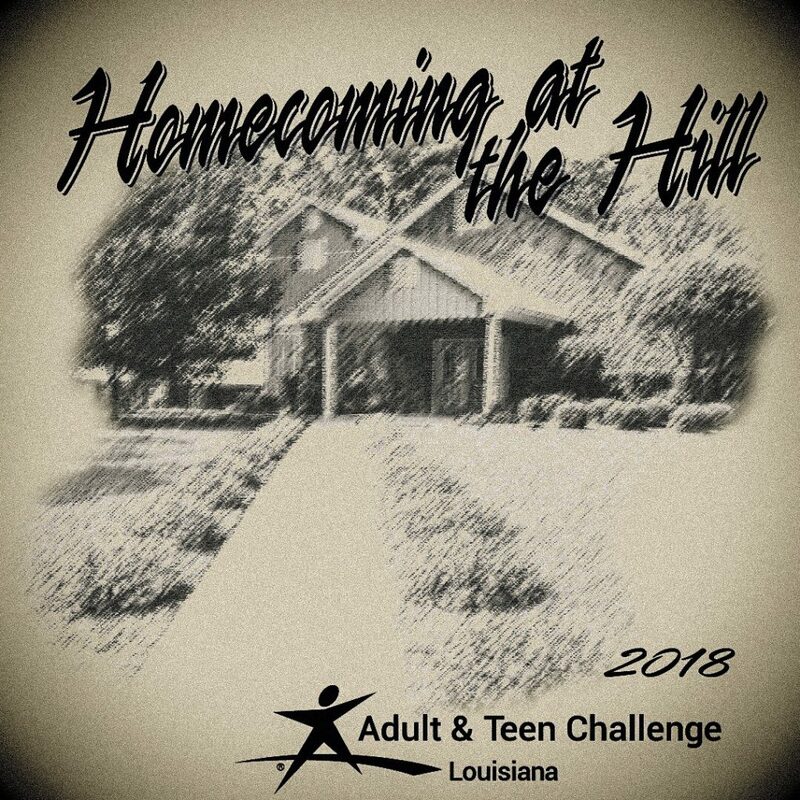 This year Louisiana Adult and Teen Challenge we will be having a reunion called Homecoming at the Hill. It is Saturday November 17, 2018 at Mt. Grace for Men at 564 Braxton Road, Dodson, LA 71422 This event will be open to former students that have completed the program but did not make it to graduate. Registration that day will begin at 8:00 am- 9:45 am. The service will begin at 10:00am till around 12:00 pm. Then we will serve lunch from 12:30- 1:15. Then we will have fun, fellowship, games and activities for Adults and kids. We will provide child care during the service. This is a free event, but we do need you to Register ASAP we will need to know who is coming and there is an option to buy a shirt in advance with the Homecoming logo on top of the page. We will not have many extra shirts at the event, so please preorder on the registration form. We are very excited to see everyone again!